…has all your pet, farm and garden needs in one convenient location! 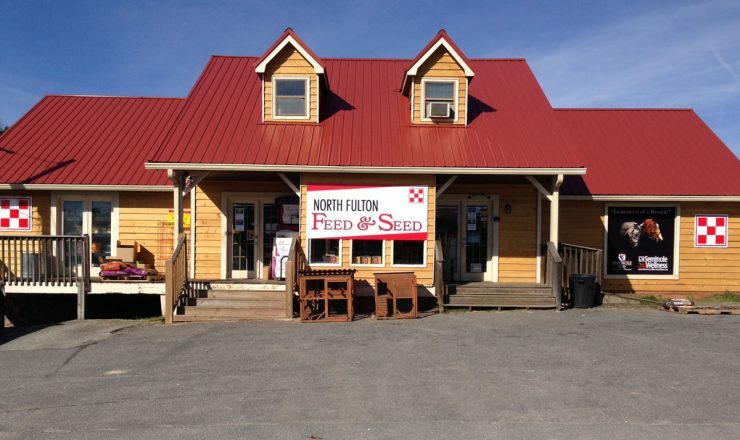 North Fulton Feed & Seed on Hwy 9 in Alpharetta, GA carries top-quality pet food, including premium dog food brands, horse feed from leading manufacturers, horse quality hay, chicken and livestock feed. We also carry hunting supplies and firewood. Stop in to shop our selection of horse and pet supplies and accessories too! Customers that use Purina Strategy Professional Formula GX and Purina Strategy Healthy Edge horse feeds will see a new look this June with the inclusion of Purina Outlast Gastric Support ingredients. All horses are not the same and all horse feed is not equal. Our Web site has lots of information to help you choose the best feed for your horses. Still not sure? Come in and talk with our experts. We are here to help. Backyard chickens are fun and rewarding. We have everything you need to get started and to keep your flock well fed and healthy including: baby chicks (certain times of the year), feed, medicines, supplies and custom made coops. We have the seed you need to grow with success — whether you are planting a backyard garden or seeding 40 acres on your farm. Cattle, sheep, goats, pigs, llamas & alpacas. We have the food to feed your livestock and wildlife including the deer. Call us for special orders.